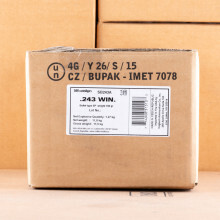 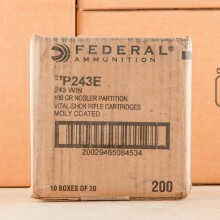 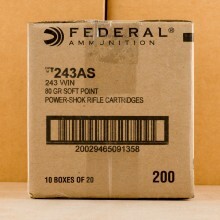 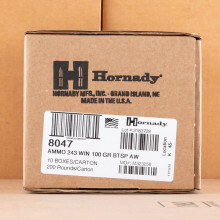 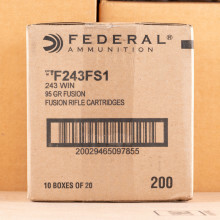 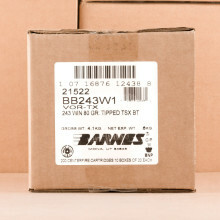 BULK .243 AMMO SHIPS FOR FREE! 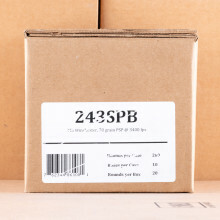 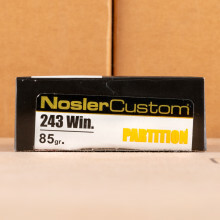 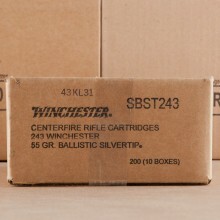 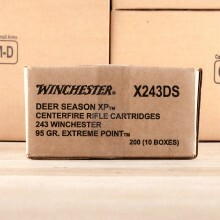 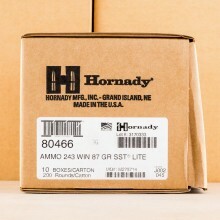 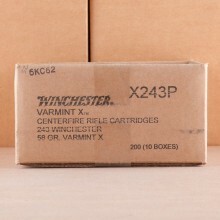 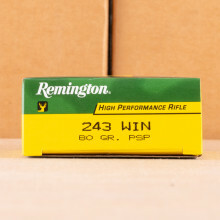 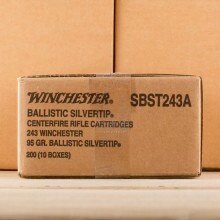 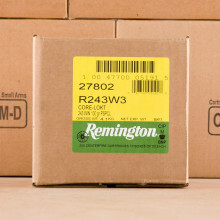 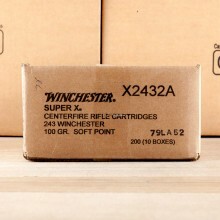 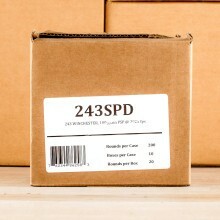 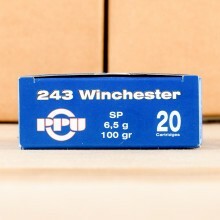 243 Winchester ammo is a common hunting round among American outdoorsmen. 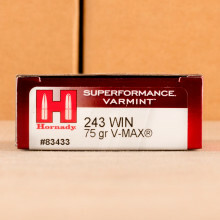 A fringe caliber for large game like bear, .243 Win is popular among deer hunters, especially when paired 75 or 90 grain bullet. 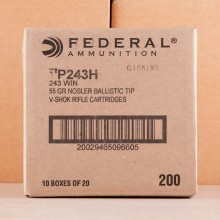 At that bullet weight, muzzle velocities of 3,200 feet per second and greater are not uncommon.